Brazil’s corruption scandals and deepening recession have raised doubts about not only the viability of President Dilma Rouseff’s government, but also about the national renaissance and global role that Brazilians have long strived for and seemed only recently to have achieved. The commodity boom of the past decade propelled Brazil to become the world’s sixth largest economy and make major inroads against its historically obscene levels of poverty and inequality. Often working in tandem, Brazil’s leading public and private enterprises, assisted by the generous state development bank, prospered immensely and fueled growth in Brazil itself and elsewhere in Latin America, building infrastructure from Ecuador to Cuba. Four Partido dos Trabalhadores (PT) presidential victories in a row (two each for President Lula da Silva and for Dilma) appeared to validate a development strategy built upon government alliances with ambitious large firms and generous cash-transfer programs for needy segments of the population, which became reliable sources of electoral support. Brazil, the country that skeptics considered unlikely to ever fulfill its aspiration of becoming more than “the country of the future,” seemed to have turned a historic corner – until it all came crashing down. With the commodity boom now over, the economy is contracting at an annual rate of more than 2 percent, and a Central Bank survey released last week forecast that the recession will continue into 2016. The past decade’s extraordinary gains in formal sector employment and wage rates are being rapidly eroded. The dire macro-economic situation forced Dilma to shift course earlier this year, when to the dismay of her PT base, she appointed pro-austerity economist Joaquim Levy as Finance Minister. His mandate – to tackle fiscal deficits – required dealing with the end of the commodity-driven cycle of growth and problems with the state capitalist model pursued by the PT since 2004. Levy’s strategy will take time to bear fruit, probably through most of Dilma’s term, and will be painful. But the President’s biggest challenges stem from the vast corruption scandals that have devastated her credibility and the reputation of the enormous companies that were the protagonists of Brazil’s latest miracle. Although Dilma has not been charged with any wrongdoing, the scandalous actions at state oil firm Petrobras, which at its height accounted for as much as 10 percent of Brazil’s GDP, were in full flourish when she was Lula’s Energy Minister and nominally in charge. Prosecutors have filed evidence of bribery and kickback schemes that bilked billions of dollars from the company’s coffers, and officials in both the PT and allied parties have been charged with serious crimes. Dilma’s popularity ratings are now in single digits, with little prospect of improvement. Street protests calling for her impeachment are more focused than those that tormented her in 2013 and 2014, when popular discontent focused less on corruption than on the poor quality of transportation, education, health care, and other public services at a time when the government was making huge investments to prepare for the 2014 World Cup and the 2016 Olympic games. Further damaging revelations are likely as investigations continue, and they will affect an ever-wider array of political actors and major economic enterprises. Many of the president’s political foes support either impeachment or resignation, while others are inclined to let her government wither in place. The key alternative parties – the PSDB of former President Cardoso and the PMDB (the latter rumored to be closer than ever to breaking its tenuous alliance with the President) – are not aligned in a way that establishes a clear path to push Dilma out. 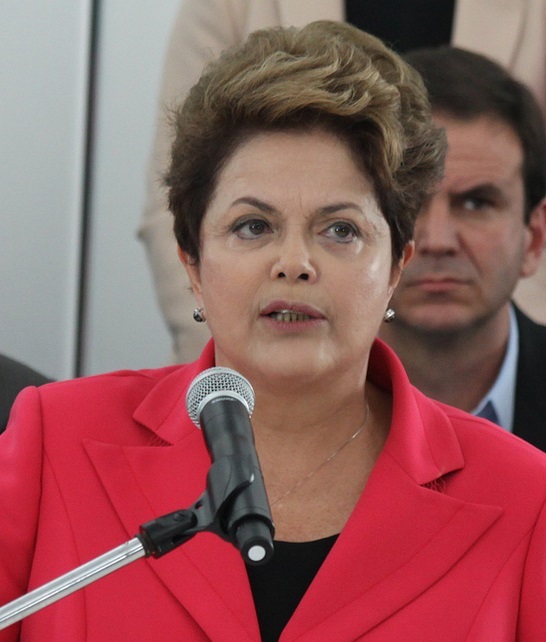 The most optimistic scenario for the President entails remaining, terribly wounded, in office, but this could change if, as many observers believe, the Auditing Court (TCU) determines that Dilma has misused public funds, or if the TSE should press forward with investigations of illegal financing of Dilma’s campaign. 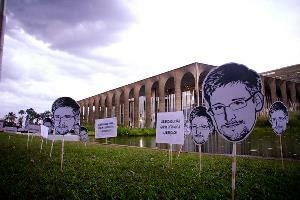 Allegations by former U.S. intelligence officer Edward Snowden about U.S. operations in Latin America have stirred further recriminations toward Washington. According to press reports, Snowden revealed that U.S. agencies monitored internet traffic, especially in Colombia (with a special focus on the FARC guerrillas), Venezuela, Brazil and Mexico. The National Security Agency (NSA) allegedly spied on military procurement and the oil industry in Venezuela, as well as the energy sector and political affairs in Mexico. The Huffington Post reported that almost every Latin American country was targeted to one degree or other. El Espectador (Colombia) said the U.S. spying was an attack on Colombian sovereignty. It quoted various senators as saying that “one does not spy on one’s friends and even less when they’ve been political allies in big decisions between states” and demanding that the government limit such activities. Foreign Minister Holguín sent a delegation to Washington to seek explanations. Mexican President Peña Nieto called the U.S. spying “totally unacceptable,” and the opposition PRD has accused the government of being “too soft” in its response to the alleged espionage. The extent of U.S. intelligence operations will not be known for decades. It took experts 30 years, for example, to pry loose information about the CIA’s role in the coup that brought Chilean strongman Pinochet to power. But the tensions such allegations create do not fade rapidly. Even accounting for hyperbole in political rhetoric, these protestations cannot be helpful to U.S. short-term efforts to win Latin American help in capturing Snowden, nor in long-term efforts to revive the Obama Administration’s stated goal of building “partnership” in the region. Continued threats – thinly veiled – from unnamed senior U.S. officials also run counter to that goal of building partnership and the related objective of minimizing fallout from accusations of spying.